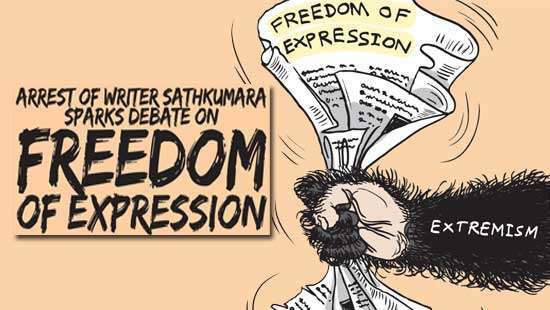 Media headlines in recent months in Sri Lanka have concentrated heavily on the political role of Buddhist monks, agitations of government medical officers against the establishment of a private medical college and the increasing failure of the State to address many pressing social issues. These three matters are by no means unconnected. In fact, all three are the products of a process of social and political change that unfolded over the last several decades. As is well known, despite Leftist and Liberal misgivings about the continuing connection between the State and the Buddhist establishment, successive Governments after independence have tended to accept it, either willingly or unwillingly. In more recent years, not just political leaders, but even senior state officials, having assumed duties of their new positions have routinely visited the high priests of the Buddhist order, tacitly accepting the need to have their counsel and blessings to conduct their official duties. 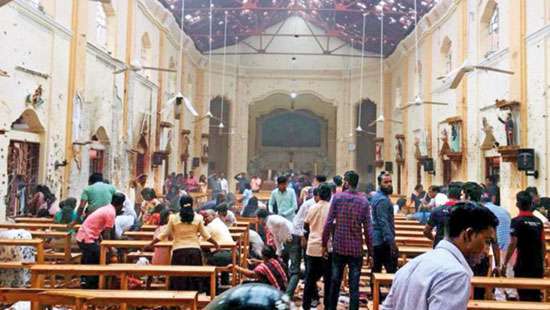 Yet, Sri Lanka is not a theocracy and the political leaders often have taken decisions that do not always conform to religious precepts. But, on some contentious issues, the influence of the Buddhist establishment has prevented political leaders from taking timely and necessary measures to resolve them. The most important one is the national question. 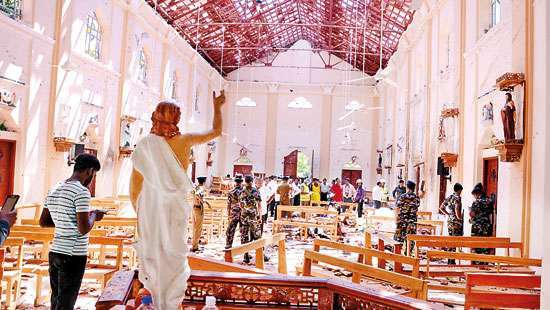 Given the strong link between popular Buddhism and Sinhala nationalism, many Buddhist monks and laity resist any attempt to tamper with the existing constitutional provisions dealing with the special status accorded to Buddhism. This resistance to constitutional reforms is also extended to cover the issues connected with the relative standing of ethnic communities within the political structure of the country. Extensive devolution of power to subnational units is resisted because it is presumed to be based on the idea of a more inclusive State. Given the fact that Sinhala Buddhist nationalism has been a major factor shaping public policies in the post- independence Sri Lanka, it is not difficult to understand the above resistance. What is noteworthy is that many of the post-independence public policies have privileged the dominant ethnic community often at the expense of the others. On the other hand, turning to the medical doctors who have continued to resist private medical education in the country, through disruptive trade union agitations, the main issue involved is intricately connected to the emergent social class structure and the post-independence State. The state-led development model adopted after independence in Sri Lanka stifled the growth of the private and non- profit sectors and created an increasing dependence on the part of the upwardly mobile segments of the population on public resources for education, stable employment and other sources of livelihood such as land. So, any attempt to create greater space for private capital in the economy and the social sectors like education has been resisted by the members of the lower middle class dependent on the state for their privileges. Political parties, student groups and Government medical officers who by and large represent the underprivileged yet upwardly mobile segments of Sri Lankan society have been able to prevent the establishment of a private medical college since the early 1980s. Such a college would have brought to an end the almost monopolistic rights to local medical education that the underprivileged students have enjoyed for decades. This is in spite of the fact that the healthcare providers in the country are no longer confined to public health institutions and the private health sector has emerged as a highly significant source of healthcare not just for the rich but also for an increasing proportion of the not so rich. It is against the above background that we need to analyse the dysfunctional nature of the state in managing public affairs in the country today. 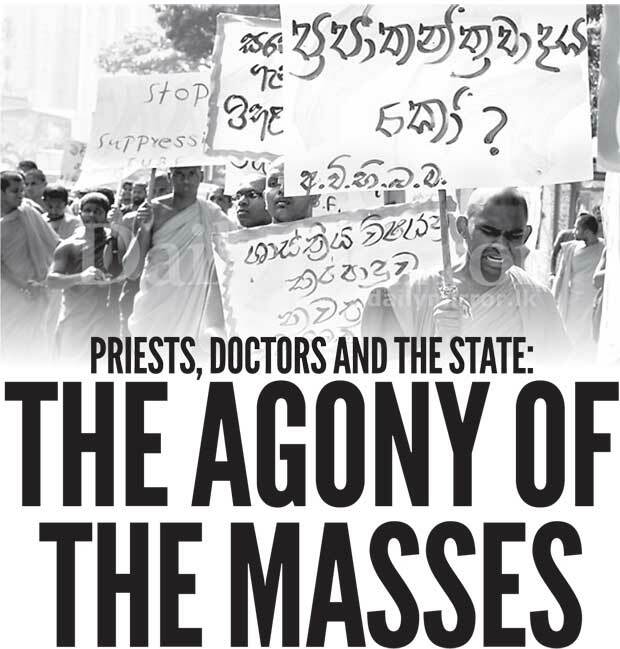 Sri Lankan State has failed to adopt a rational approach to public policy making due to the persisting or even growing influence of constituencies that have been accommodated by a populist State, and these include politically active Buddhist priests, medical professionals who have originated from dependent lower middle-class backgrounds and the diverse aspirants to political office whose only source of subsistence and wealth has been populist politics. The populist politicians by and large do not see politics as a way of dealing with existential problems of the ordinary masses through rational public policies and effective state institutions. Instead, they see these problems as opportunities for them to get public attention and offer piecemeal solutions. Many examples can be cited here as illustrative examples but poverty alleviation is a classic case in point. Political fortunes of many, self-seeking, populist politicians have been built on this issue over several decades. When State institutions are micro-managed to offer ad hoc solutions to long-standing economic and social issues, patron-client politics comes to the fore, making political leaders at all levels the key sources of relief to many ordinary people faced with all sorts of problems. These politicians, instead of discussing long-term, durable solutions to diverse economic and social issues in fora as the parliament, Provincial Councils and local bodies, roam around in their jurisdictions offering instant solutions to problems at an individual level such as jobs, transfers, school admissions, food parcels, credit, wheelchairs, roofing sheets and land. It is against the above background that we need to understand the chronic failure of the Sri Lankan State to find durable solutions to long-standing political, social and economic issues, making the situation in the country almost hopeless, unstable and volatile in recent years. The continuing deterioration of state institutions and the persisting inertia of the public service have been the result, leading to the worsening of conditions in many sectors such as education, research, environment, public transport, public health and social security. Yet, many populist politicians continue to dominate the media, and many journalists continue to hold their microphones to them so that they can continue to mislead the hapless masses by spreading the diabolical myth that they have solutions to the problems that we are faced with. It seems that there are many gullible people who continue to believe them. On the other hand, the country still has a window of opportunity to lead the country on a more constructive path towards sustainable development, national unity and social justice. This is thanks to the political change that took place about three years ago. If we could build national consensus among enlightened members of the public, public servants, civil society organisations, professionals, intellectuals, progressive politicians and other groups such as youths and university students on the need to take the country forward on the basis of sound state policies and interventions, it would be possible to prevent a downward slide to a State of sectarian violence, arbitrary rule and anarchy again.